The Volvo S60 is a popular luxury car. It has a sporty look and it's packed with features to match. 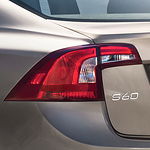 The Dynamic is one of the six different trims available for the S60. The T5 engine offers up to 240 HP and 258 ft-lb of torque. It gets a super-efficient 36 mpg, too. The all-wheel drive variant of the T5 offers the same level of power, and gets a still-impressive 33 mpg. The interior of the S60 is impressively designed, with lots of attention to comfort. The Dynamic trim offers a selection of seat colors. The steering wheel is leather, and stylish aluminum inlays offset the stylish black dash and controls. Sport pedals, rubber floormats and park assist cameras are among the available options. To really understand the power and style of the Volvo S60 Dynamic, you need to drive one. Visit Volvo Cars Annapolis the next time you're in the area for a test drive.